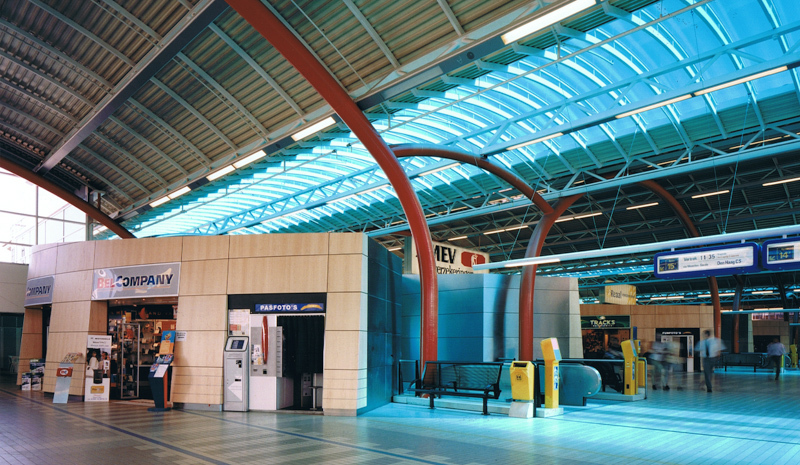 These retail units were realized in Utrecht, as a part of the larger commercial masterplan. 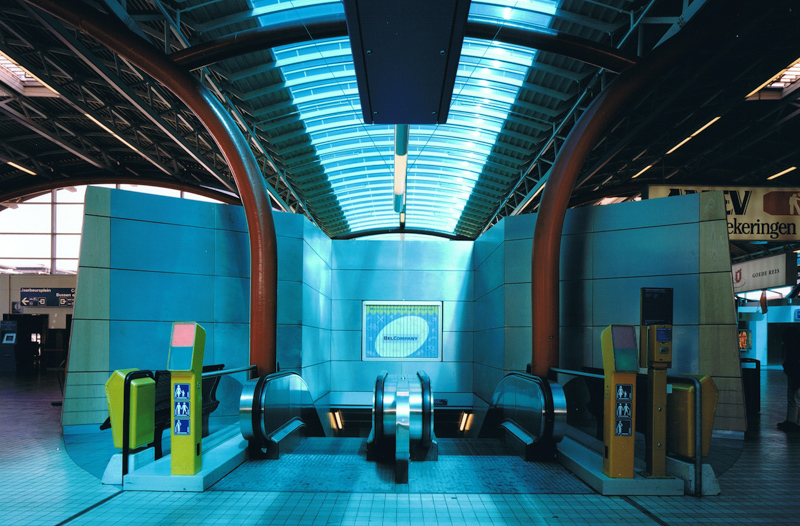 It was a new policy from the Dutch Railways to allow for more shops inside the station and more property development around it. We took the challenge to design an integration of travel and commercial functions. In our believe these functions support all people in the station wether traveller or shopper or both. 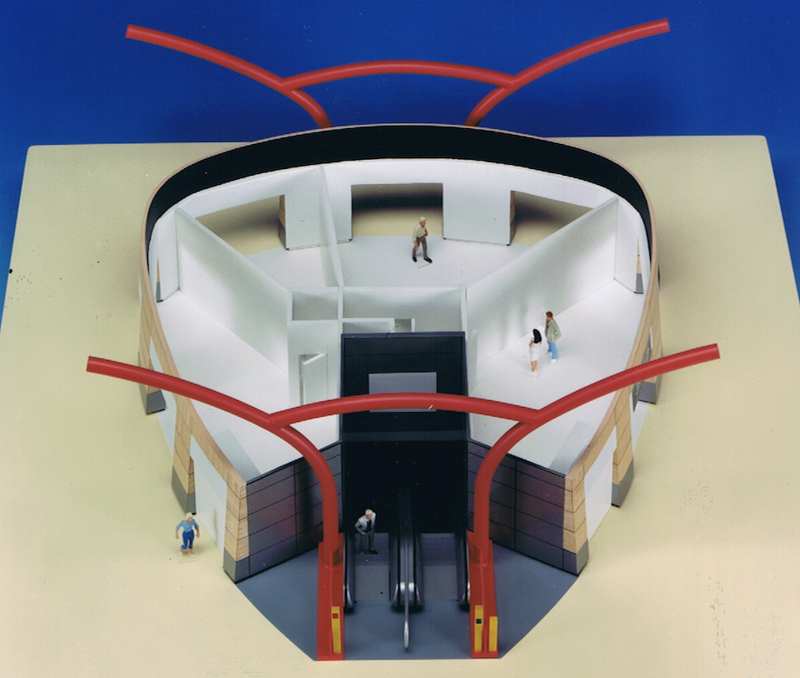 To create more space in the terminal and less separated routing, we designed the shops around the escalators. In doing so we could maximize the available shop area and the public space. The curved design supports the routing of the passengers. It consists of a natural and rounded wood, somewhat in the shape of an iglo. 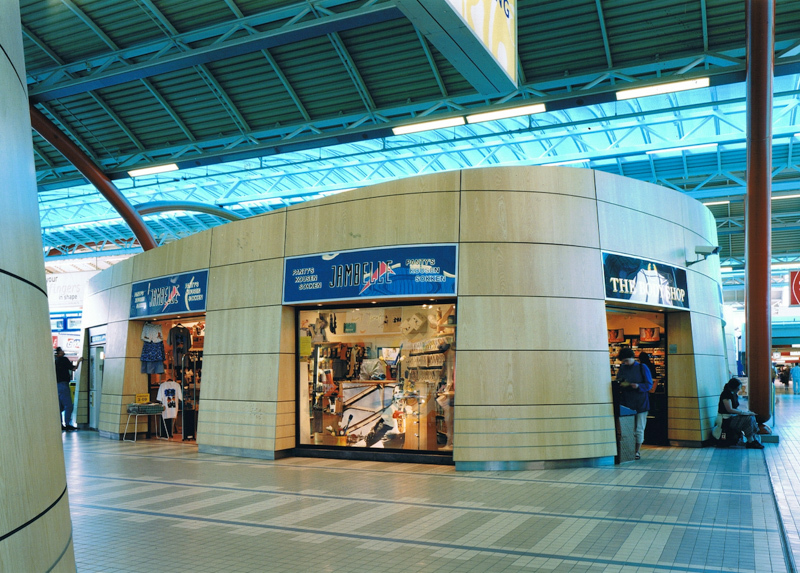 The units have a sober and strong form allowing for various retail options like open plan, window or over the counter. 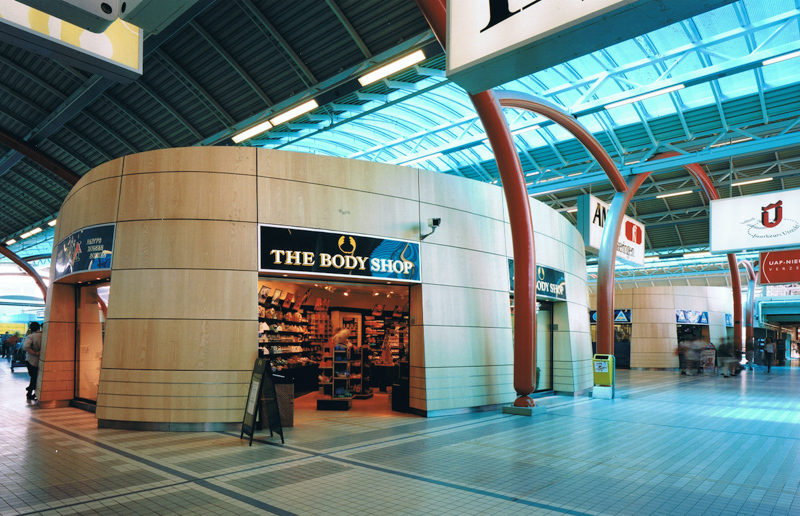 The shops branding and signs are integrated in the panelling. The design forms a welcome and warm contrast with its surroundings. It sets its own standards and clear language. Commercially this proved to be very viable and successful.